The following text explains the photo above. on the right side. Therefore, his back is to the ocean (south). 56th Street and Beach Channel Drive. 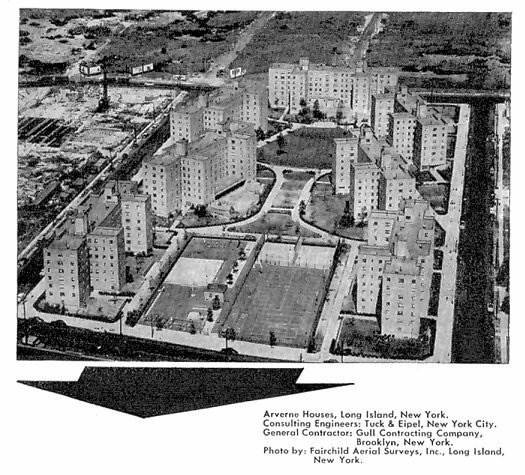 appeared in the early 1950s -- long before the "Rockaway Airport"
erected on that valuable Bay side property.